I've talked to a bunch of friends and TPD readers recently who own an Instant Pot and are still afraid to use it. Or who are still only using it to make rice and slow cooking. Slow cooking? The magic is in the pressure cooking man! What is the Best Way to Make Pork Ribs? This is a question for the ages, isn’t it? A quick internet search will show that everyone has their own answer. Boiling? Marinade or dry rub? And today we ask: sous vide or pressure cooker? 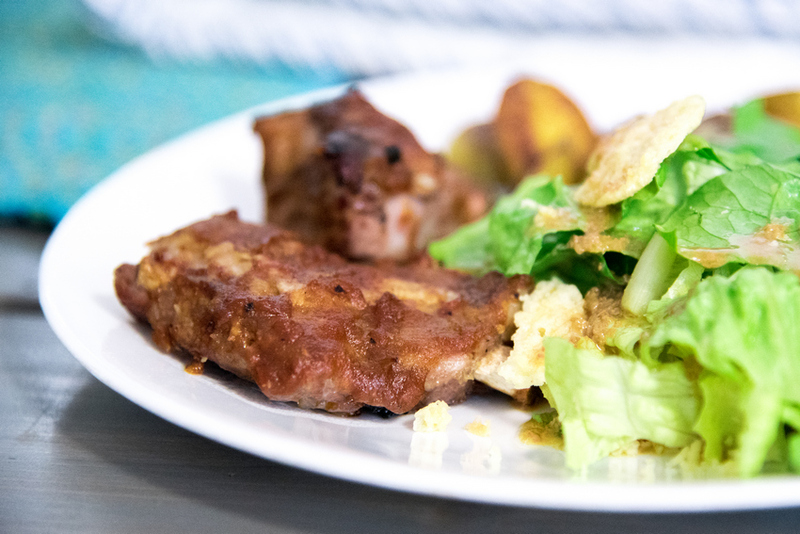 We’ve made ribs a number of times in our Instant Pot pressure cooker and we’ve loved the results. We aren’t sous vide pros, but since having access to a few sous vide devices and learning how they work (see Sous Vide for Dummies) – cooking the meat at your target temperature for a long time which prevents over-cooking, and breaks down the fibrous connective tissues to give you super tender meat – we decided that these methods needed to be pitted against each other. 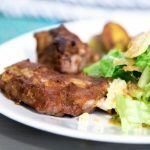 There are a lot of methods to make sous vide ribs on the net, but I liked the way that Serious Eats’ Food Lab broke down times, temperatures, and results with photos and descriptions. That’s awesome! From their recommendations, I decided to go with 145°F (63°C) for 30 hours – slightly less time than one of their recommendations, but in the ballpark. Yeah man, that’s how the magic of cooking meat in the sous vide works. “But I want to eat ribs tonight! I want to eat them NOW!” OK, OK! Calm down, I’m hungry too. That’s why we’re putting it up against the electric pressure cooker. Is 30 minutes more your speed? Good. Let’s do it. I don’t know why I’m still trying to convince you. I think I’ve already said enough. Sidenote: The words bouncing around in my head were, “Feed me Seymore!” to which I realized I actually didn’t know what that was from (Little Shop of Horrors for those of you who didn’t know either). And then I realized that I actually haven’t seen it! Holley immediately put it on and we’re watching it right now. I love movies from the 80s. The sets. The acting. The effects. The technology. And the fashions: Holley gave me an education about pointy bras. What a world. Rather un-scientist-like, I went into this matchup with a preconceived expectation. I know. So unprofessional. 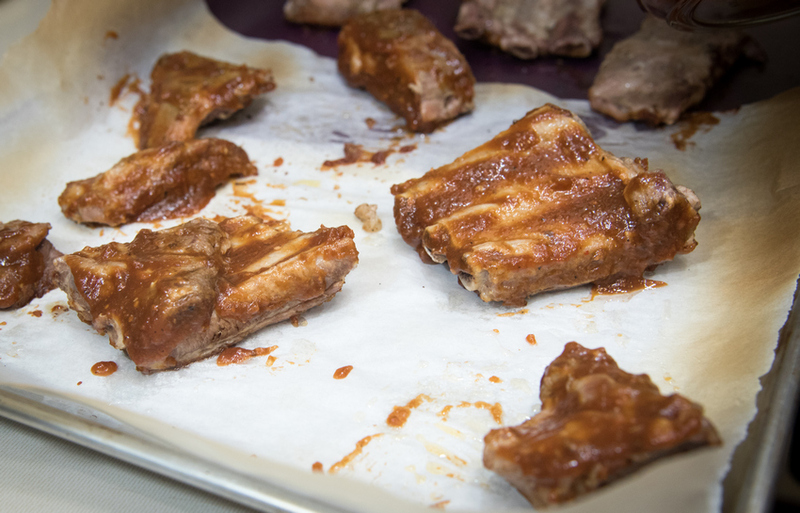 I expected the sous vide ribs to be head-and-shoulders above than the pressure cooker ribs. I prepared all the ribs with a simple sprinkle of salt, pepper, and garlic powder just prior to cooking. 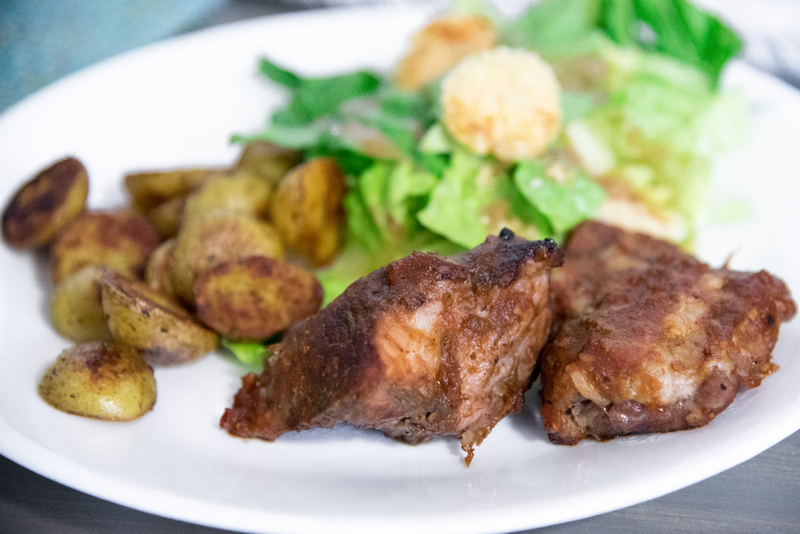 After sous vide or pressure cooking we sauced the ribs with Holley's Smokey Balsamic Apple BBQ Sauce and tossed in the oven to caramelize the sauce. We all agreed that both methods were very tender. But all three of us preferred the texture of the Instant Pot pressure cooker ribs. Plus, you save over 30 hours to do it! What is your experience with pressure cooker or sous vide ribs? Any tips? Brush on BBQ sauce and then broil until sauce is caramelized – but not burned! Keep an eye on it, you don't want to screw it all up when you're so close to getting this juicy meat in your mouth! I absolutely adore doing ribs in my pressure cooker…there is no better way!! SOOO tender! Yes! Prior to pressure cooking, how did you make them? 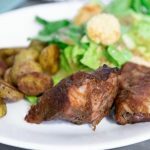 Love Ribs and Instant Pot made it so easy and posssible. Thanks for sharing ! Ribs are the BEST and I’ve been making them more and more recently because they are so easy and quick in the Instant Pot! These looks absolutely delicious.